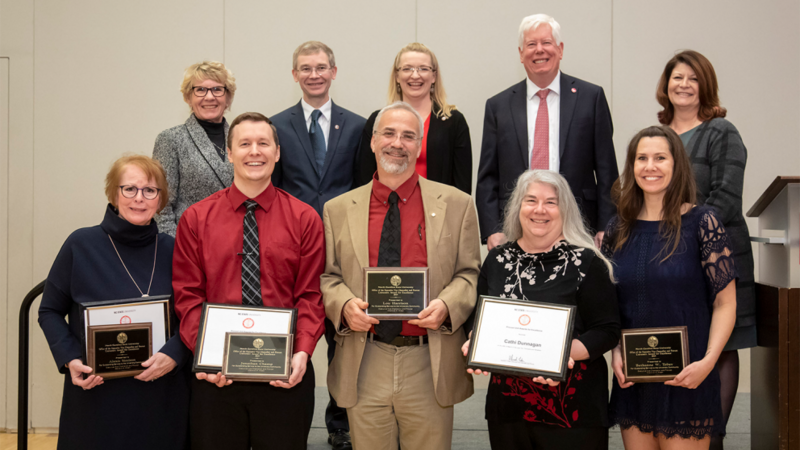 The Office of the Executive Vice Chancellor and Provost honored DELTA staff members Jonathan Champ, Lou Harrison, Alexis Simison and Bethanne Tobey each with an Award for Excellence for their extraordinary commitment and contribution to DELTA and the larger NC State community. 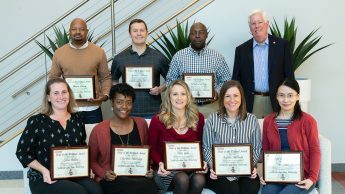 Eight DELTA staff members were honored with the Pride of the Wolfpack Award at a staff meeting Oct. 4, 2018. The award recognizes staff members who go above and beyond and make a special or unique contribution to their unit or university as a whole. 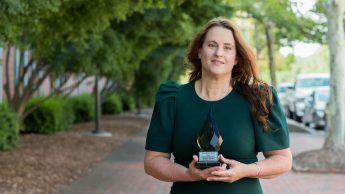 Teaching Assistant Professor Michelle Bartlett received the Wagner Innovation Award at the 2018 Distance Learning Administration conference in June. Bartlett’s leadership and innovative solutions as the director of the online Training and Development master’s and certificate programs landed her this award. DELTA awarded more than $240,000 in new and continuing DELTA Grants to 29 recipients across the university including eight academic colleges and the Division of Academic and Student Affairs. DELTA Grants apply innovative pedagogy, instructional technology and course design to solve instructional challenges. 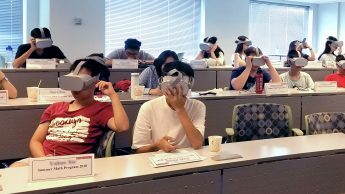 The First Impressions virtual reality module received a 2018 Campus Technology Impact Award in the teaching and learning category. Developed in partnership with the Global Training Initiative, the experience allows students to dive into the minds of a global project team. 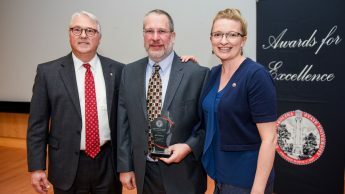 After receiving Awards for Excellence from the Office of the Executive Chancellor and Provost, Emanuel Brunson and Jeff Webster were honored as nominees for the university-level award at a ceremony held June 11, 2018, in Hunt Library. Webster was announced as one of 12 winners of an NC State University Award for Excellence. 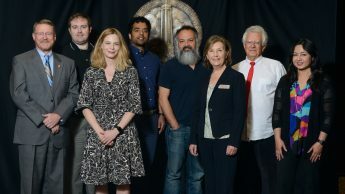 DELTA staff members proudly worked alongside 2018 Gertrude Cox Award recipients Research Associate Professor Nilda Cosco and Teaching Assistant Professor Jason King. 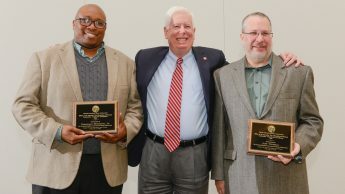 DELTA staff members Emanuel Brunson and Jeff Webster each received an Award for Excellence from the Office of the Executive Vice Chancellor and Provost for their outstanding service to DELTA and NC State. 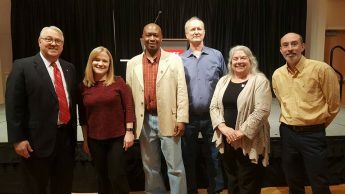 Several DELTA staff members were honored with NC State Service Awards. Annual Service Awards Breakfast ceremonies took place on January 24 and January 31. Every employee who attains five years of service, and every subsequent five year increment after that, will receive an invitation to an annual Service Awards Breakfast.